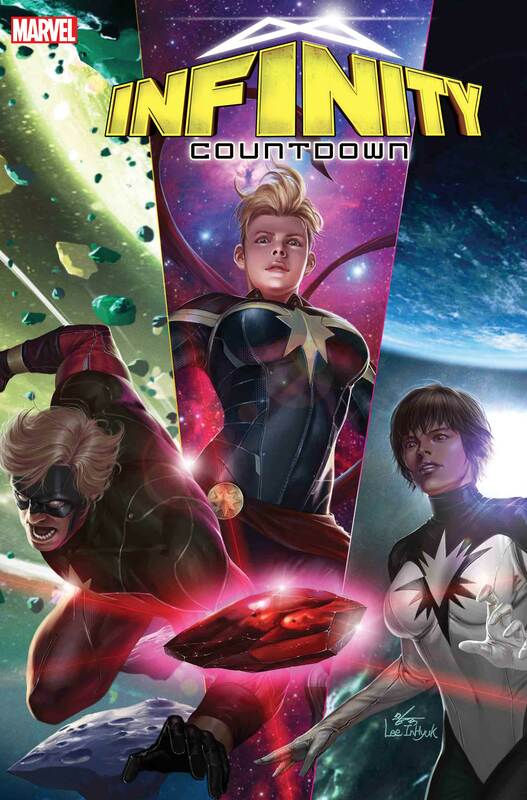 Captain Marvel, Daredevil and Darkhawk Control The Stones? The race to wield infinite power kicks into high gear across the Marvel Universe with INFINITY COUNTDOWN (PRIME and ADAM WARLOCK) from mastermind writer Gerry Duggan! And starting in May, you cannot miss the newly announced INFINITY COUNTDOWN TIE-IN titles: brand new, can’t-miss one-shots and limited series from all-star creative teams that will reveal the fate of the stones — and who possesses them. And finally, following the event of DARKHAWK #51, we see the return of DARKHAWK in a four-issue series from Chris Sims, Chad Bowers and Gang Hyuk Lim! Spinning out of the war with the Fraternity of Raptors for the Power Stone, “The Hawk” is back to fight for justice for both New York and the world. This entry was posted in Arts and Culture, Comic-Con, Comics, Entertainment by admin. Bookmark the permalink.